The chunky shoe wave is ready to hit hard later in 2018, but we’ve already caught an inkling of what Nike has in store in the second half of the year. The women’s shoe called the Nike M2K Tekno has drawn comparisons to the Air Monarch, the quintessential “dad” shoe that has gone on to be a cult hit among sneakerheads. 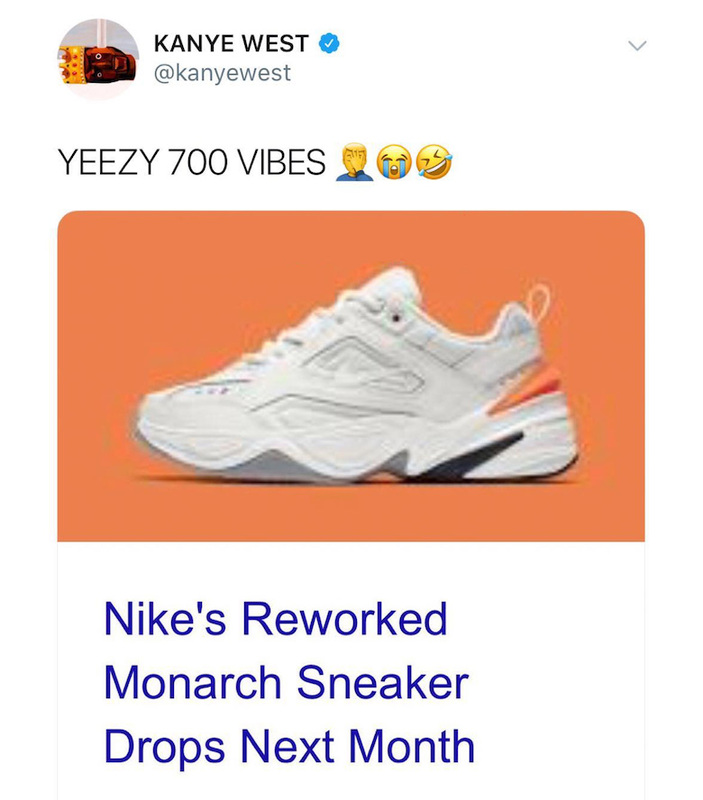 Kanye West, however, has responded to the M2K Tekno with a “YEEZY 700 VIBES” tweet, suggesting this “new” shoe is heavily inspired by his Yeezy Boost 700. The tweet has since been deleted, but it’s clear that Kanye West is throwing shade at the Swoosh.